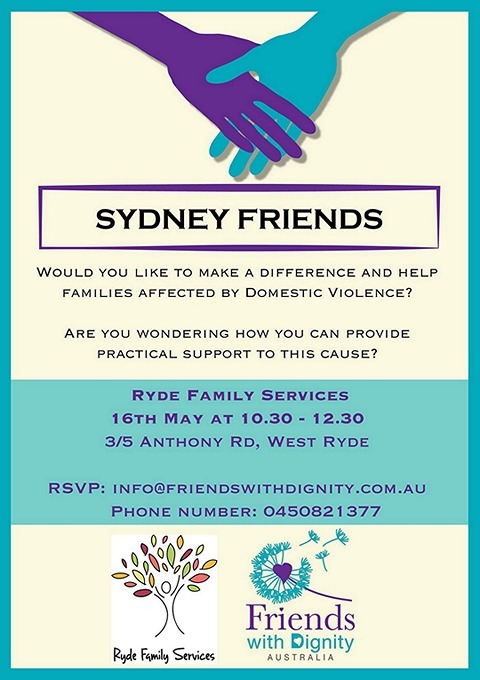 Friends With Dignity is a national not for profit community based organisation that makes a positive difference in the lives of those affected by the ravaging effects of domestic violence providing practical services and support regardless of race, ethnicity, gender or sexuality. Comfort packs – Essential and non-essential emergency items that are needed by the families at various times throughout their journey. Partnering refuges are supplied with “Comfort Packs” to give to the individuals/families when they first enter refuge or engage with a service and this is supplied and packed by the Volunteers. Sanctuaries – We know that statistics prove that women and children are the most vulnerable and FWD will continue to assist with setting up the homes and looking to expand nationally. Through our Facebook page, FWD facilitate donations of quality clothing, furniture, non-perishable food items, toys and other essential and non-essential comfort items to enable families to start their safe new life, to empower them and embrace them with the kindness of others, to let them know they are valued, they are worthy and most importantly they are deserving of a fresh new start. Urgent Requests – When those who have been displaced by domestic violence require urgent (less than 48 hour) critical items, FWD will aim to provide specified items (e.g. clothing, underwear, pram, toiletries). Social Awareness – FWD aims to create an active social movement initiating change by raising awareness of the damaging effects to individuals affected from social injustice, in particular domestic violence, not limited to women and children but to men and people from the LGBT groups.